“What Child is This?” is included in the Russian and Latvian hymnbooks as well as the Ukrainian Children’s Songbook. The text was also included in an English MIA songbook in the 1960s and 70s. 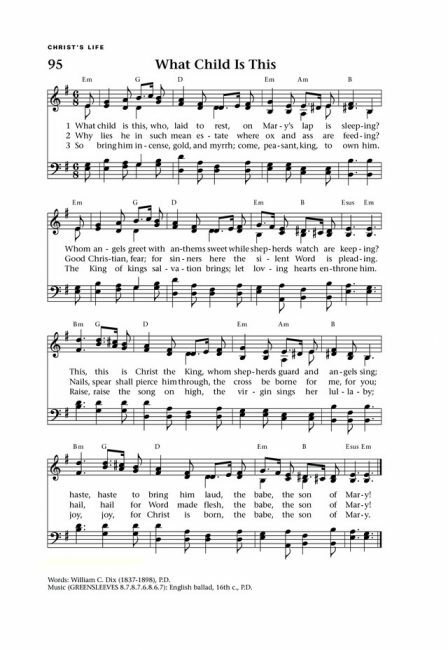 Well-known to many English speakers by both “What Child is This” and “Greensleeves,” this would be a wonderful addition to your congregation’s Christmas program this year.